Gelato, an Italian-Style Ice Cream, is Smoother and Creamier than Traditional Ice Cream, and has 2/3rds Less Fat. 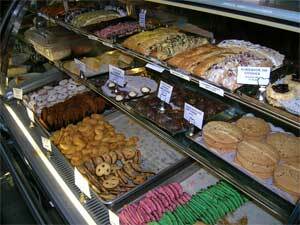 We also offer a great selection of Homemade Gelato Dessert Cakes and Gluten Free desserts. The Best Desserts in NJ. Our desserts are always changing with the seasons and we are always making new ones in addition to our popular regular desserts that we always carry. These include tiramisu, crème brulee, napoleons, cannoli, brownie, chocolate mousse, Vesuvius cake, raspberry tart and cheesecakes. Now including Gluten free desserts!